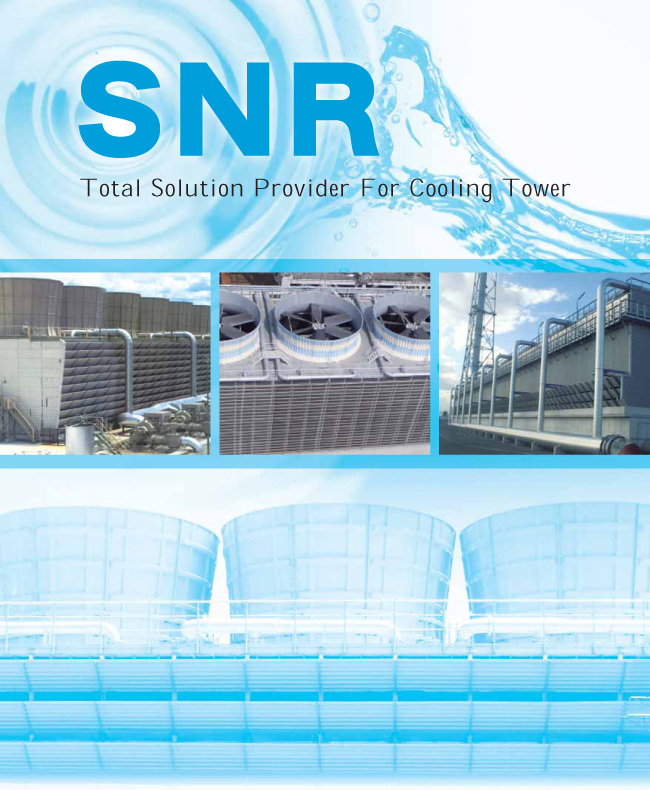 Total Solution Provider For Cooling Tower｜Shin Nihon Reiki Co., Ltd.
We, Shin Nihon Reiki have been providing total service of cooling tower including design and manufacturing to satisfy all customers’ needs in various industrial fields for more than 50 years. 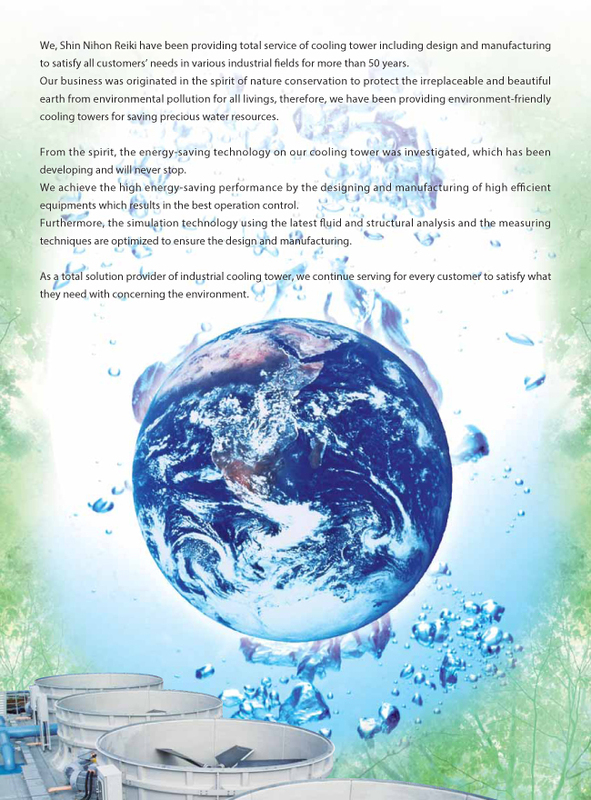 Our business was originated in the spirit of nature conservation to protect the irreplaceable and beautiful earth from environmental pollution for all livings, therefore, we have been providing environment-friendly cooling towers for saving precious water resources. From the spirit, the energy-saving technology on our cooling tower was investigated, which has been developing and will never stop. We achieve the high energy-saving performance by the designing and manufacturing of high efficient equipments which results in the best operation control. Furthermore, the simulation technology using the latest fluid and structural analysis and the measuring techniques are optimized to ensure the design and manufacturing. As a total solution provider of industrial cooling tower, we continue serving for every customer to satisfy what they need with concerning the environment. Shin Nihon Reiki examines the strength of cooling tower structure using the structural analysis software. It helps us designing the safety structure and selecting materials which meets enough strength properly for cooling tower. Water flow inside complex conduits is able to be simulated by water analysis software. Using this software, the best and safety structure design is provided. Fluid analysis is also able to simulate wind flow exhausted from cooling tower fan. It can predict the wind flow under plume-invisible condition for settling possible countermeasure. Shin Nihon Reiki has received the ISO9001 certificate. manufacture, installation　and　the existing cooling tower testing, diagnosis. Copyright(C) shinnihonreiki 2013 ALL RIGHTS RESERVED.